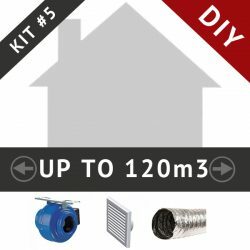 Welcome to our range of Sub Floor Ventilation Inline DIY kits. Our kits have been put together based on your sub floor area in m3. 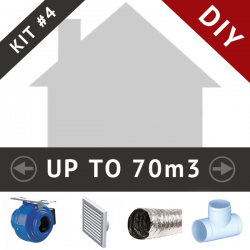 To find the most appropriate kit all you need to do is measure the size of your sub floor (length x width x height). You can then match this size to the most appropriate kit. 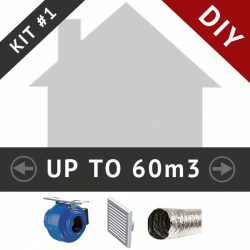 All of our kits are supplied with the highest quality inline fans with reliable German made ball bearing motors. This DIY Sub floor ventilation kit is designed to ventilate a sub floor space of up to 120m3. This is a premium kit and includes the TT Silent inline fan. This DIY Sub floor ventilation kit is designed to ventilate a sub floor space of up to 200m3 and comes with two intake points.